When Marc Weiner was diagnosed with bladder cancer in 2015, surgeons removed the organ along with both of his kidneys. 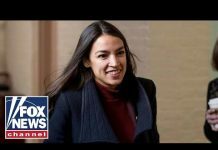 Weiner is now cancer-free, and undergoes dialysis three times every week, which takes a toll on his body. The former news executive and cancer survivor is using a Times Square billboard to attract a kidney donor. 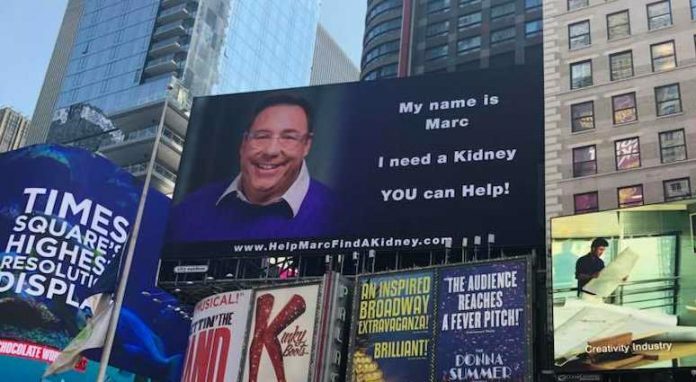 “My name is Marc, I need a Kidney, YOU can Help!” reads the billboard that shows his smiling face beaming high above New York. 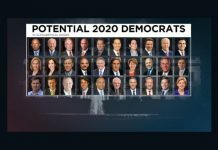 The billboard will be up until Weiner finds a donor or until the end of November when the billboard needs to come down because of prior construction plans. Next articleONLY FEW HOURS LEFT TO WIN A TESLA OR $50K!